Dr. John N. Makaryus was born and raised in New York. He completed his medical school training at the State University of New York, Downstate Medical Center in 2006, graduating with a Distinction in Research. He then went on to complete his Internal Medicine Residency, Chief Medical Residency, and Cardiovascular Disease Fellowship at the North Shore-LIJ Health System. 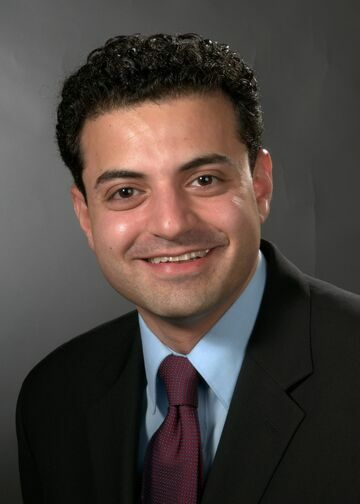 Following his training, Dr. Makaryus went on to complete an Advanced Cardiovascular Imaging Fellowship at Columbia University-New York Presbyterian Hospital in New York City where he received training in modern cardiac imaging techniques with a particular focus on Nuclear Cardiology including Positron Emission Tomography, as well as cardiac CT/MR imaging and echocardiography. He has authored over 40 peer-reviewed publications, book chapters, reviews, and editorials in the field of Cardiology, with a particular focus on cardiovascular imaging and has presented at both national and international conferences. His research interests include optimizing the application and integration of cardiovascular imaging into the diagnosis and therapeutic management of patients with cardiovascular disease. In 2014 he returned to North Shore University Hospital where he currently serves as the Director of Nuclear Cardiology. Makaryus JN, Saba SG, Makaryus AN. “Contrast leak mimicking detector malfunction in coronary artery calcium scoring.” J Cardiovasc Comput Tomogr. 2015 Nov-Dec;9(6):597-8. Platsman Z, Auerbach A, Lee A, Jauhar R, Makaryus JN. “Regadenoson-induced coronary vasospasm resulting in severe reversible perfusion defects and transient ischemic dilation on SPECT stress myocardial perfusion imaging.” J Nucl Cardiol. 2015 Sep 18. Ruisi P, Makaryus JN, Ruisi M, Makaryus AN. “Inflammatory bowel disease as a risk factor for premature coronary artery disease.” J Clin Med Res. 2015 Apr;7(4):257-61. Makaryus AN, Henry S, Loewinger L, Makaryus JN, Boxt L. “Multi-Detector Coronary CT Imaging for the Identification of Coronary Artery Stenoses in a “Real-World” Population.” Clin Med Insights Cardiol. 2015 Jan 5;8(Suppl 4):13-22. Fan D, Makaryus JN, Wassef B, Suma V, Masry M, Makaryus AN. “Exacerbation of pulmonic regurgitation by diastolic tricuspid regurgitation.” Echocardiography. 2014 Sep;31(8):E234-9. Makaryus JN, Angert-Gilman J, Yacoub M, Patel A, Goldner B. “Inappropriate Implantable Cardioverter-Defibrillator Discharge Attributed to Alternating Current Leak in a Swimming Pool.” Tex Heart Inst J 2014 Feb; 41(1):61-3. Makaryus JN, Halperin JL, Lau JF. “Oral anticoagulants in the management of venous thromboembolism.” Nat Rev Cardiol. 2013 Jul;10(7):397-409.